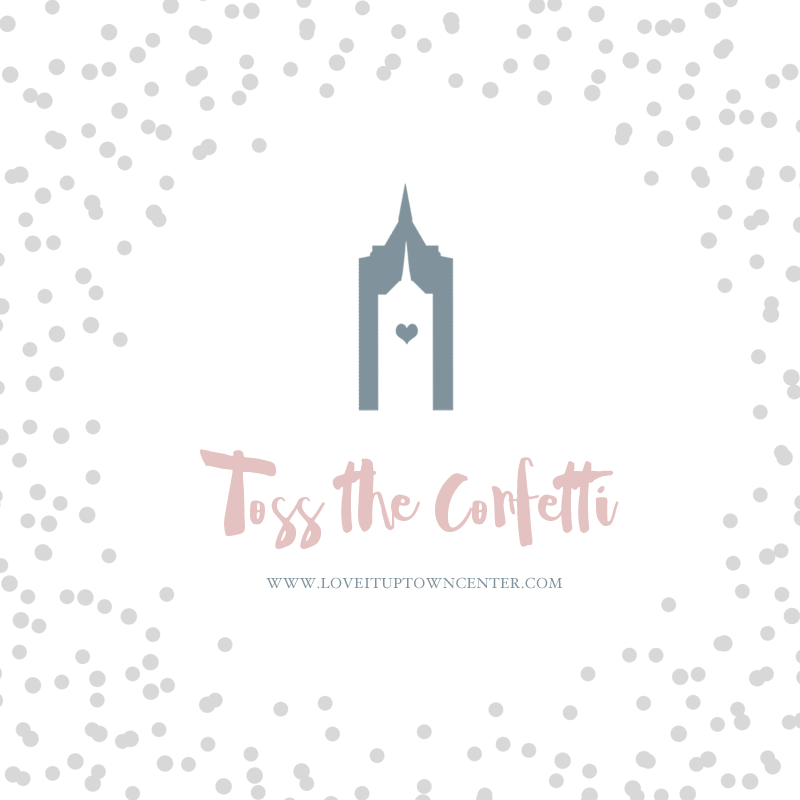 We can't hold onto our confetti any longer! Tidewater and Tulle and Town Center of Virginia Beach are tying the knot for the first annual "Love It Up" wedding event on August 12, 2017! With interactive social media, mini summer events leading up to the big day, and engaging new concepts, everything will take place in-store and around participating Town Center shops and restaurants (alongside other incredible local wedding pros that we are proud to call Tidewater and Tulle Vendor Fam). Be Inspired - More creative options and memorable inspiration than ever before. Meet The Experts - The area’s finest wedding retail experts, ready to meet you, and provide you a taste of how they can make your special day amazing. From tastings to venue tours to live entertainment, Hampton Roads is full of wedding dream makers just for you! Get New Ideas - Stunning inspirational store displays to help you envision the perfect theme for your day. Snag Deals - Tons of swag and amazing day-only specials that can save you thousands of dollars. Dress To Impress - Fabulous apparel retailers showcasing the season’s hottest fashions for your wedding guests and entire wedding party. Grab your wedding squad because with some of our Town Center of Virginia Beach shop and restaurant pals, we're co-hosting some pretty fab weekday and weekend events that lead up to the big day! They will allow you to see, touch, and experience amazing product demonstrations, tastings, mini-makeovers, styling sessions, wedding gift registration tips, venue tours, suit fittings, and so much more that you'll find on the event website. Fact: We're having a moment right now and totally kicking off our heels and pretending Kool and the Gang's Celebration just came on at the reception! Ya-hoo! So come say I Do with us this August in Virginia Beach because it's going to be nothing like you've experienced before!